A teenage girl is recovering after she was grabbed and bitten by a tiger for 40 minutes when she reportedly banged on the big cat's cage. 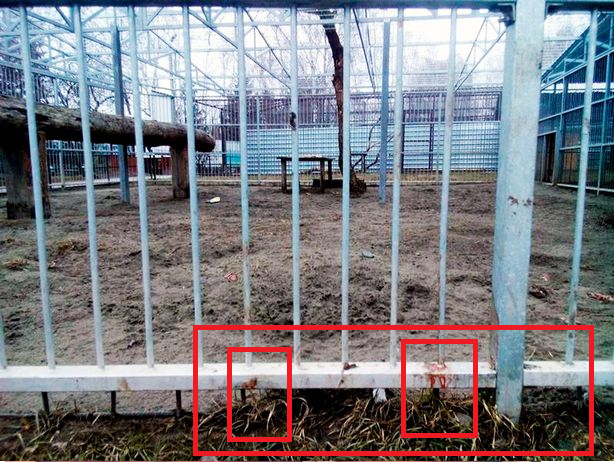 Elizaveta Kutkina was trapped by the predator through the bars of its cage at the zoo in the Russian city of Barnaul,the Siberian Times reports.. The screaming 13-year-old was grabbed by her coat by the Siberian tiger , as he pulled her closer and then began to maul her legs. He is a grown animal, nine years old," added director Sergey Pisarev.Obviously, the animal showed aggression because he's a predator. "Of course, he grabbed her. The ambulance was called." "All possible safety regulations were breached. It was a human factor, childish stupidity,"
The schoolgirl was saved because the tiger could not bite or claw her properly though the bars. 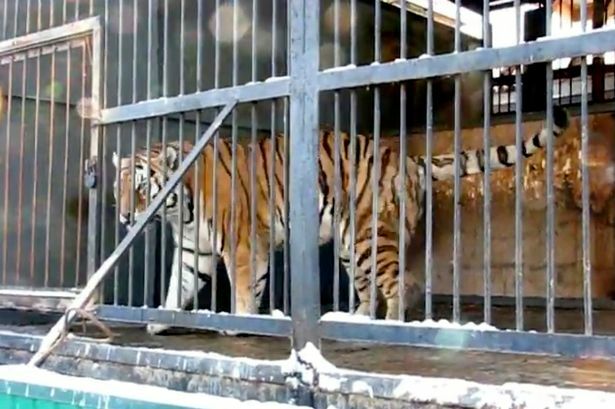 But she was held for 40 minutes unable to escape despite frantic attempts by half a dozen bystanders in Lesnaya Skazkapark zoo in the Siberian city. 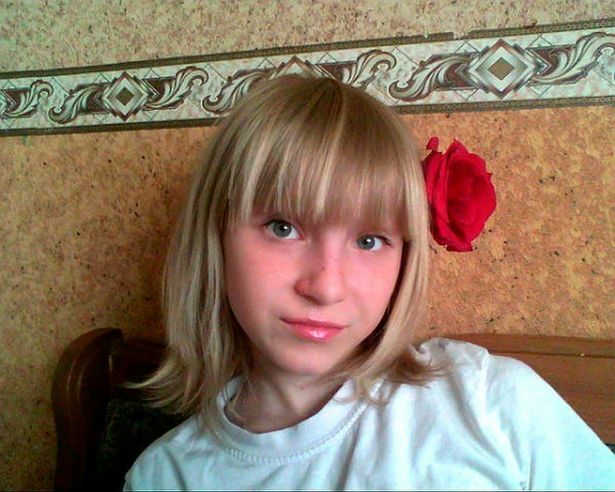 Eyewitness Anastasia Ptichkina said two girls had banged on the tiger's cage after the zoo had closed. "One of them turned out to be supper for the big cat," she said. "Luckily there were six or seven people in the park.The tiger gnawed through the screaming girl's leg muscles,All were shocked and tried to save the girl, but the tiger only became more angry and it gnawed her leg more aggressively.It was impossible to watch how it gnarled and licked her leg.Police and doctors also could hardly do anything. Thanks to the guys who managed to distract the animal. They even bought a piece of meat in the shop. Zoo officials said the tiger would not be shot despite the attack on the girl.